Hello, again! This Thanksgiving will mark my first year as a quilter, and I’ve spent a lot of time recently reflecting on this year. First and foremost, I’m thankful for the people I’ve met on this journey. 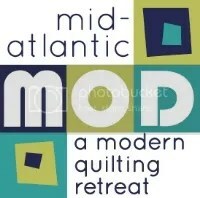 I’m also indebted to those who inspired me to start quilting: my grandmothers, mother, and Pinterest! Which brings me to today’s question – Who, or what, inspired you to start quilting? I’m always so intrigued by why people started making quilts. I started to quilt when my married friends started to have babies. I always sewed as a kid and adult, but being in college I didn’t have a lot of money to buy gifts. So I started quilting. I checked a couple of books out from the local library, including Georgia Bonesteele’s Lap Quilting. Her books and PBS shows got me hooked. That was over 35 years ago! When I lived in Parker Colorado- a dear sweet lady named Eileen. She had a houseful of teenage boys and a busy husband who was a lawyer – seemly she did not have time to quilt- but Quilt she Did! She made these big beautiful puffy and comfy bed-sized quilts which I thought she bought at the Ralph Lauren Home store! She made them to sell in a shop in Vail and they were in high demand. She taught me alot about piecing and binding – I learned alot by just watching her. She even taught me how to recover a cushion with piping. She taught me alot about patience and making time for others. When I think of Colorado- I think of Eileen and those beautiful quilts. My aunt made quilts, one of which I brought to college and loved so much that I tore a hole in it. I always wanted to make one myself. I finally took the leap two years ago when my youngest turned one and I needed some escape from the mundanity of being a stay at home mom. I took Sew Basics at RPS, read some patterns, watched a lot of YouTube and took off running. Round 1 – in the 70’s, though I always sewed. Made all my own clothes in college or I just wouldn’t have had any! Don’t remember what started my friends and I quilting – those were the hippie days and everyone was doing some kind of hand work at the time. Great fun! Round 2 – about 1 1/2 years ago, my sister took me to Pennington Quilt Works where they were just starting a BOM. We joined on a whim and the rest is history! I’d say, in fact, that history is my favorite part of quilting too – I feel such a connection to all those anonymous women who created some beautiful and functional quilts all those years ago. I love reading how quilts have been used to: get flour to a starving town, help slaves escape via the underground railroad, cover the injured soldiers during the Revolutionary and Civil Wars, etc. etc. And women like you all are so inspiring to me too – keep up the good work, ladies! It was a visit to the Warwick Valley Quilters’ Guild Quilt Show in May of 2006 that inspired me to start quilting, and I haven’t looked back! I went to the show and was so impressed with the quilts….I felt like I was in a museum, looking at pieces of art. Women where making these!!! That meant I could, too. That summer I took my first quilt class at a Quilters’ Attic, a shop in Pine Bush, NY where I learned how to use a rotary cutter and ruler, and some fundamentals of quilting. Wow, what a rush, and I was hooked! My oldest friend (of over 45 years) comes from a very talented family of women who always sewed — prom dresses, wedding dresses, dance costumes, quilts, you name it. She spent a day visiting me and gave me a full day, personal one-on-one beginner quilting lesson a couple of years ago. We made mug rugs to demonstrate different quilting techniques. Little did she know what an impact that would have on me. Thank you Marian!